There were a number of Ferrari automobiles that wore a “340” badge. There was the 340 Mexico, the 340 MM, the 340 F1, and this, the 340 America. The America, obviously, was part of the Ferrari America line of cars that began in 1950 with this model. It would continue through 1966 with the 500 Superfast (and maybe through 1967 with the 365 California if you count that one). It’s a quick car, too – able to hit 150 mph on the Mulsanne. It sports a recent restoration to 1951 Le Mans spec and has both competed in the historic Mille Miglia and has been shown at Villa d’Este. It is the third of 23 340 Americas built. Only eight were bodied by Touring (this is the second). Click here for more info and here for more from this sale. 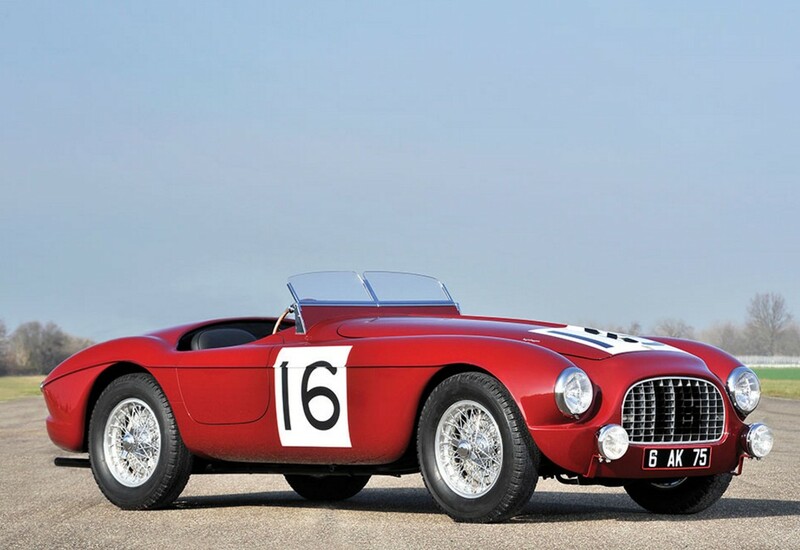 This entry was posted in Uncategorized and tagged 1951, 340 america, auctions, barchetta, cars, classic cars, ferrari, rm sothebys, touring by classiccarweekly. Bookmark the permalink.